Fostex Poncho Light Weight Green. Handy, lightweight, one size fits all poncho which was quickly over you to throw against protection from the rain. 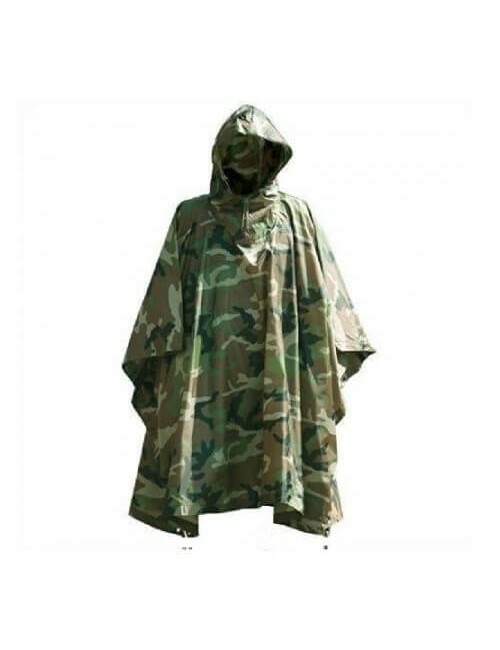 The poncho is made of 100% pvc. Features a hood and snaps on the side so you are cut off for the rain. The poncho is supplied in a handy protective case.